The west side of Cottonwood Pass (County Road 209) will be closed for 2017 while the road gets its first-ever coat of asphalt, in addition to safety improvements to accommodate increasing traffic. The road will also be closed as far into 2018 as necessary to complete the project. According to Gunnison County public works director Marlene Crosby, the work will include medium to heavy construction widening to create a uniform 24-foot roadway width and will include laying back banks and rockery walls, establishing drainage, and including visibility, all which will enhance safety and improve the user experience. The road will be widened to two 11-foot-wide paved lanes with one-foot-wide paved shoulders, and some of the more technical switchbacks toward the top of the pass will be realigned. Crosby says the realignment sections will reduce the road distance from 13.9 miles to 12.5 miles. At a November 3 board meeting, Gunnison County commissioners discussed whether it would be best to break roadwork into portions and keep traffic flowing through the summer or to close the road completely. The idea to work around traffic would have included closing the pass from 8 a.m. to 6 p.m. Mondays through Thursdays and from 8 a.m. to noon on Fridays, with three weekly night shifts. This plan would have meant there would be delays of up to 20 minutes at construction sites along the road. Closing the road periodically and hiring traffic control crews would be expensive for the county and inconvenient for drivers. Commissioners also noted how difficult it would be to spread the word about open and closed hours to visitors. Both of the options would have impacts, but the consensus was it would be best to simply keep the road closed. 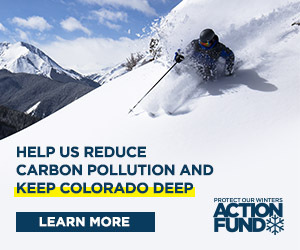 Seen as an added benefit to Gunnison County, this would also force drivers coming to Crested Butte to drive around, via Highway 50 over Monarch Pass, and encourage them to spend money on gas or food in Gunnison along the way. Crosby told the board it would cost a lot to add flaggers to the project and to work around traffic or work traffic around construction. And with a single project that is roughly 13 miles long, the last thing the county wants is people to get stopped for 20 minutes on one end of construction and then again on the other end. Another added cost, as noted by commissioner Phil Chamberland, would be having to fill in holes for traffic, then coming back the next day and dig them out. “As a digger of dirt, it also makes sense to me to just close the road,” he said. When county manager Matthew Birnie asked about limited access to the forest during the summer, Crosby said the U.S. Forest Service gave Gunnison County the authority to make the decision on its own, and would be comfortable with whatever the county decided. According to commissioner Jonathan Houck, some organizers of bike races held in the area have asked if the pass could just be opened for their event day(s), but Crosby assured the board that organizers of all three bike races that use the road during summer have been notified there will be no road access during construction. Since property owners in the old mining town of Tin Cup could be affected by the closure, even though many of them tend to drive in via Monarch Pass before Cottonwood Pass opens each year, Houck sent a email to notify the president of the Tin Cup Civic Association of the future road closure but is still waiting for a response. However, commissioners confirmed that cattle ranchers who use the area have already said they are okay with the closure and should still be able to find the access they’ll need. Without the added cost of traffic control, paving and widening the uppermost 12.5 miles of County Road 209 this side of Cottonwood Pass will cost Gunnison County $1,491,325 between 2016 and 2019. Improvements to the pass are estimated to cost $27,115,000, but the proposed improvements qualify for funding under the Federal Lands Access Program, which supports work on public highways, roads, bridges, trails and transit systems located on, adjacent to, or providing access to federal lands, so the Federal Highway Administration will fund the remaining $25,623,675. Mark your calendars a year and a half out. County Road 209 will be closed from Taylor Reservoir to the top of Cottonwood Pass for the entire 2017 construction season, meaning May through September, and for as much of the 2018 dry season as necessary to complete the project.